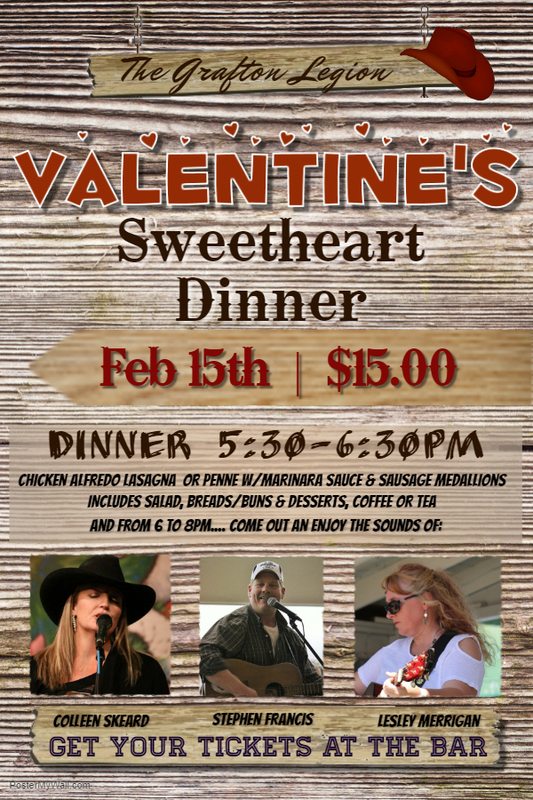 Friday February 15, 2019 at the Grafton Legion. Tickets will be available through Grafton Legion or at the door. Email Webmaster with photos, articles, news and events.